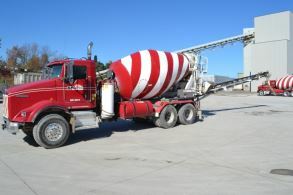 Each of our concrete plants can produce a variety of mixes to suit all construction applications. Please contact a sales representative for pricing and project information. We offer a variety of methods for delivery. 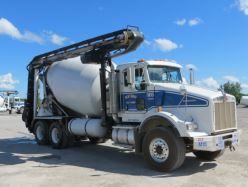 See below for our various truck types and feel free to contact your local Manitou Concrete or Northrup Materials. dispatching office for additional questions and to place your order. Please be sure to discuss with dispatch any particular hazards on your jobsite (low hanging wires, terrain issues, tight spaces, etc.) and discuss the particulars of where the truck needs to reach. In the interest of safety please do not climb on or attach anything onto any part of the mixer. Thank you for your cooperation! Our highly skilled drivers are ready to make your delivery as easy and safe as possible. Manitou operation features rear-discharge trucks. 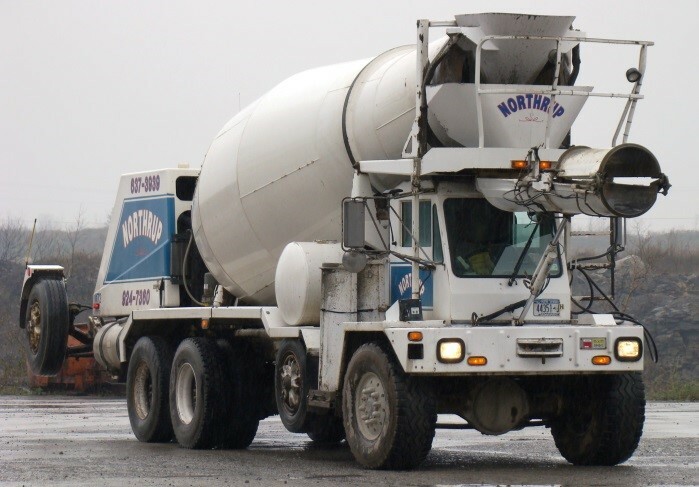 Northrup plants deliver in either front or rear discharge mixers. 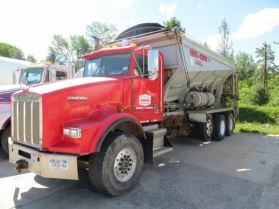 Ask for a conveyor truck for areas with limited or difficult accessibility. Dimensions of conveyor vary by location. Maximum 10’ length boot at end of conveyor. Please contact local dispatch for further details. Contact 585-348-9599 to schedule stone delivery. 1) Know of potential jobsite hazards? Let our dispatch know in advance and remind the driver at the road! 2) Please have a spotter available to greet our trucks, to keep an eye on hazards, and to guide the truck safely in as they enter the site. 3) G.O.A.L.? Get Out And Look! 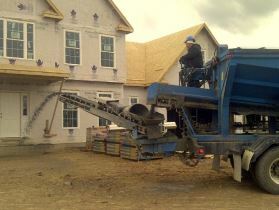 – Our drivers do this on every jobsite before every pour so please be patient as they try to work safe – thanks! 4) Ensure a safe path – Be sure the spotter keeps lookout for obstacles above and below, as well as to either side of the truck. 5) Use proper hand signals to communicate effectively – Please use them clearly, correctly and deliberately. Speak with driver beforehand if unsure. 6) Please refrain from climbing onto the trucks – Our drivers can safely take care of any issues on the truck. Doing so is against our company policy. 7) Maintain a safe clearance – Please keep your distance from the truck, especially if working behind or directly in front of the truck. 8) Conveyor safety – For your safety, please allow a continuous concrete flow (aka do not kink the boot) and avoid standing directly below conveyor. 9) Help our hard-working drivers get back on the road safely after the pour and have a spotter guide us out, especially onto a busy road! Thanks! 10) Patience – Please allow our drivers to do what they need to do to be safe - we really appreciate it! 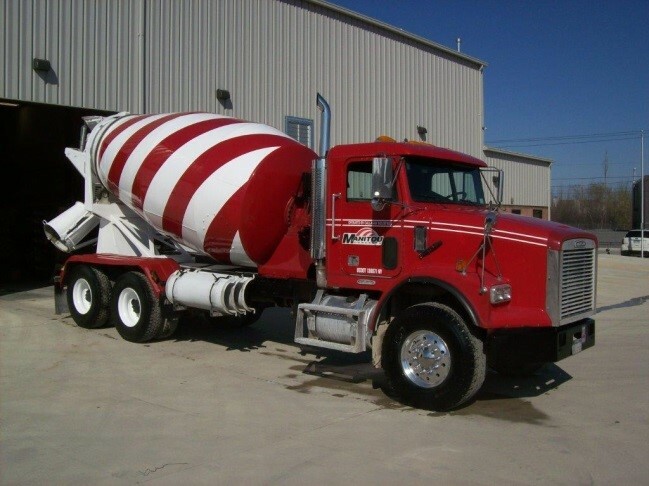 Between your concreting expertise and our driver’s excellent skills your job can be done professionally, efficiently, and safely! THANK YOU FOR WORKING WITH US AND FOR YOUR CONTINUED BUSINESS! !